Khalifa Bilqasim Haftar and Omar al-Hariri, two of the leaders of the reportedly somewhat disorganized military opposition to Col. Muammar Gaddafi in Libya, are not only mentioned in current news reports (see the Sunday, April 3, 2011, edition of The Washington Post), but also in the pages of translations produced and published in the 1980s and ‘90s by the U.S. Foreign Broadcast Information Service. 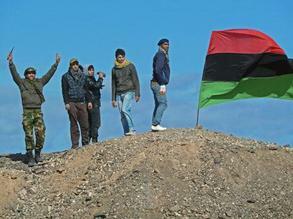 Here are a couple of the dozens of reports on then Col. Haftar from the FBIS Daily Reports. 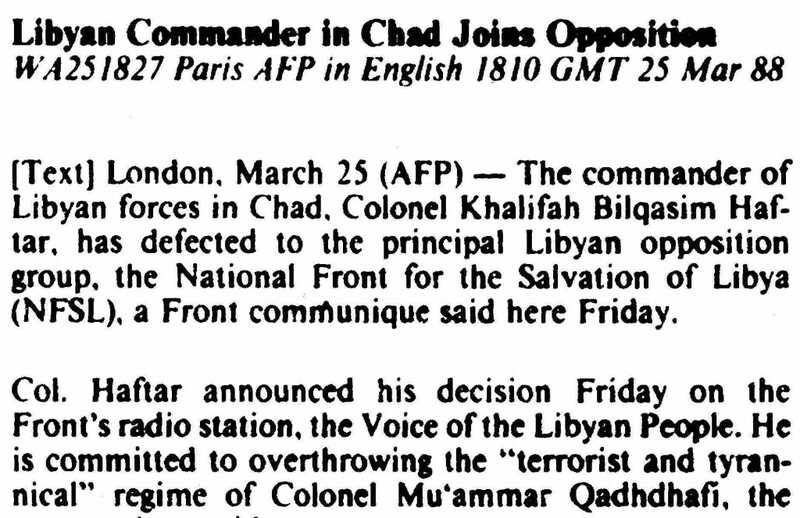 First, consider this March 28, 1988 report on Col. Haftar’s decision to join the anti-Gaddafi forces. Click to open full article. 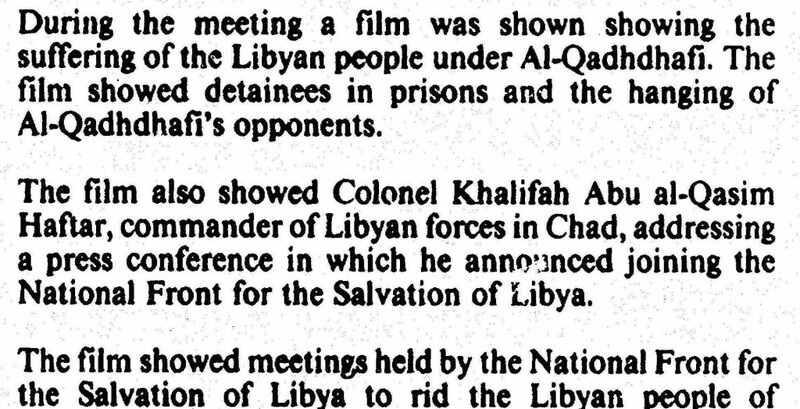 In a 1988 broadcast from Cairo of an account of a meeting of the Arab and Foreign Affairs Committee at the Egyptian Press Syndicate on Sept. 27, the Secretary General of the National Front for the Salvation of Libya, Muhammad Yusuf al-Muqaryif, said “Al-Qadhdhafi’s rule was one of oppression, tyranny, terrorism and sabotage and was entirely against the aspirations of the Libyan people.” Later at the meeting a film of Col. Haftar was shown (see below) on the attempted 1984 assassination of Col. Gaddafi. For information on the Readex digital edition of the Foreign Broadcast Information Service (FBIS) Daily Reports, 1941-1996, please visit our website or contact readexmarketing@readex.com.